House price growth slowed for a second consecutive month in February, with just one region beating the rate of inflation. Data from Your Move shows average prices fell by 0.5% annually last month to £302,435. This was the same level of annual decline recorded in January. Prices grew by 0.5% on a monthly basis after two months of zero movement previously. The fastest growing region in February was Wales, which saw prices grow 3% annually to £188,077. This compares with the inflation rate of 1.8%. All other regions either posted annual growth below this rate or registered a decline. The next fastest growing region was the west midlands, up 1.7% to £227,032. The largest annual fall was in the south-east of England where prices fell 1.7% to £371,791. London remained the region with the highest house prices at £622,494, which was down 1.5% annually. Oliver Blake, managing director of Your Move, said: “Whilst a challenging market, it’s a mixed picture with some regions still experiencing price rises. House price inflation slowed to 2.5 per cent during December, according to the Office for National Statistics. This was the lowest annual rate of house price inflation since July 2013 and continued the slowdown seen in the housing market over the past two years. The average UK house price was £231,000 in December 2018 – £6,000 higher than a year previously. On a month-on-month basis, house prices only rose by 0.2 per cent between November and December. “That said, for new buyers, the current low interest rate climate coupled with the government’s commitment and extension of the help-to-buy scheme will offer further support for those hoping to get a foot on the ladder. 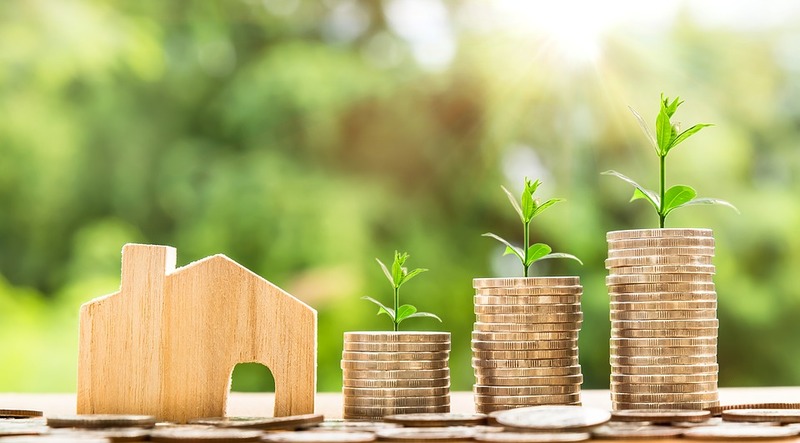 Steve Seal, director of sales and marketing at Bluestone Mortgages, added: “Slower house price growth is no doubt a reflection of potential buyers choosing to adopt a ‘wait and see’ approach before committing to the biggest purchase of their life – a home. The lowest annual growth was in the North East, where prices fell by 1 per cent over the year to December 2018, followed by London where prices fell 0.6 per cent over the year. House prices in London have now fallen from a peak of £488,527 in July 2017 to £473,822 in December. Meanwhile house price growth was strongest in Northern Ireland, where prices increased by 5.5 per cent, and Wales, where house prices increased by 5.2 per cent. The ONS said the increase in house prices in Wales was driven by strong growth in the south east of the nation, likely linked to the abolition of tolls on the Severn Bridge. Despite the strong house price growth in Northern Ireland, it remains the cheapest area of the UK for property, with the average home costing £136,669 compared to £247,886 in England. House price growth across UK cities has reduced steadily across 2018 and currently stands at +2.7% when comparing December 2018 with December 2017, Zoopla’s UK Cities House Price Index has found. The slowdown has been driven by price falls in London (-0.2%) and Cambridge, which has seen prices drop 3.8% annually while the rate of growth has slowed across Southern cities. Richard Donnell, research and insight director at Zoopla, said: “Weaker growth in London, Cambridge and Aberdeen has been a large drag on the headline rate of house price growth across the UK cities index over the last year. “The strongest performing cities are outside south eastern England where affordability remains attractive and employment levels are rising. Northern, Midlands, Scottish and Welsh cities all lead the way for annual growth with Edinburgh’s average price up 6.8% annually; Liverpool up 6.3% and Birmingham, Nottingham and Cardiff all seeing prices increase by 5.9%. There’s a clear North-South divide when it comes to house price growth. The 13 cities in its ‘20 cities index’ posting the highest growth are all located in the North, Scotland, the Midlands or Wales with Bristol in the South West the exception. Some 10 cities have posted double digit growth since the 2016 vote, with Birmingham (pictured) (+16%) and Manchester (+15%) leading the charge. In a reversal of fortunes, leaders in the broad recovery phase (London, Oxford and Cambridge) are now amongst the very poorest market performers post-Brexit vote. Southern cities that outperformed during the broad recovery phase are now experiencing significantly decelerated growth, as economic and political uncertainty is more acutely felt here. House price growth slowed sharply as 2018 drew to a close, with the UK recording its weakest annual growth in nearly six years. Annual house price growth slowed from 1.9 per cent in November to 0.5 per cent in December, Nationwide Building Society has said. But Scotland fared slightly better, with house prices in 2018’s fourth quarter 0.9 per cent higher annually, at £147,856 on average. The 0.5 per cent increase in December was the weakest since February 2013. House prices were down by 0.7 per cent month-on-month in December. Across the UK, the average house price in December was £212,281. London and some commuter belt areas surrounding the capital have seen house prices dip year-on-year. In London, the average house price in the fourth quarter of 2018 was £466,988 – 0.8 per cent lower than the same period in 2017. Northern Ireland was the strongest performer, with house prices in the fourth quarter of 2018 up by 5.8 per cent annually to reach £139,599 on average, followed by the East Midlands and Wales, where house prices lifted by 4 per cent annually. Nationwide’s chief economist Robert Gardner said: “UK house price growth slowed noticeably as 2018 drew to a close, with prices just 0.5 per cent higher than December 2017. “This marks a noticeable slowdown from previous months.” He said there have been indications a softening in the housing market was likely, including weakened consumer confidence. THE north recorded the high annual house price increase in the UK at the end of 2018, according to new figures. Northern Ireland was the strongest performer in the latest Nationwide Building Society index, with average house prices in the final quarter of the year up 5.8 per cent annually to £139,599. The unparalleled growth in the north was in contrast to the overall picture in the UK, where the weakest annual growth was recorded in almost six years. The 0.5 per cent increase to an average of £212,281 in December was the weakest since February 2013. That figure was also down 0.7 per cent month-on-month. The strong growth in Northern Ireland was followed by Wales and the east midlands, where prices lifted by 4 per cent annually to £156,891 and £184,283 respectively. Robert Gardner, Nationwide’s chief economist said UK house price growth slowed noticeably as 2018 drew to a close. “It is likely that the recent slowdown is attributable to the impact of the uncertain economic outlook on buyer sentiment, given that it has occurred against a backdrop of solid employment growth, stronger wage growth and continued low borrowing costs,” he said. “The economic outlook is unusually uncertain. 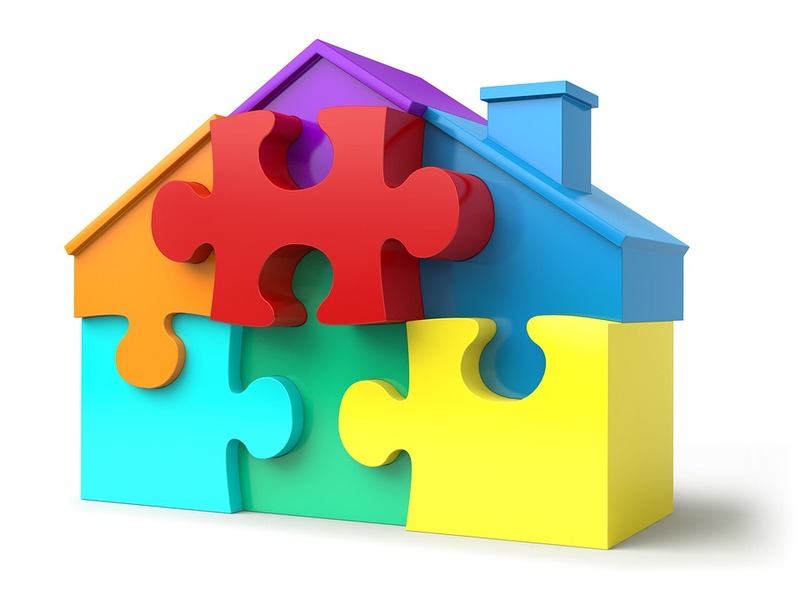 However, if the economy continues to grow at a modest pace, with the unemployment rate and borrowing costs remaining close to current levels, we would expect UK house prices to rise at a low single-digit pace in 2019,” Mr Gardner added. Howard Archer, chief economic adviser at EY ITEM Club believes the housing market ended 2018 “very much on the back foot”. Jeremy Leaf, a north London estate agent and a former residential chairman of the Royal Institution of Chartered Surveyors (Rics) said the figures are a wake-up call for the housing market. “Looking forward, this is always a fairly quiet time anyway for the market so the reasonable start we have had to business won’t be seen in the figures for at least the next month or so,” he added. Has there ever been a more difficult time to predict the future of UK house prices? Political uncertainty looms large over the UK’s property market, but experts have nonetheless given their expectations for the year to come. Bank of England governor Mark Carney showed how dangerous the numbers game can be in November, when he had to clarify that he was not suggesting the property market would crashin the wake of a no-deal Brexit, despite warning that in a worst-case scenario house prices could fall by up to 35 per cent. Subdued activity in parts of London, particularly at the higher end of the market, has dominated the headlines in recent months. However, outside the M25 house prices have largely continued to grow modestly, with the fastest rises in the north west of the UK. According to the Nationwide House Price Index, in November UK house prices bucked expectations after growing by more than many economists had forecasted, edging up 0.3 per cent. 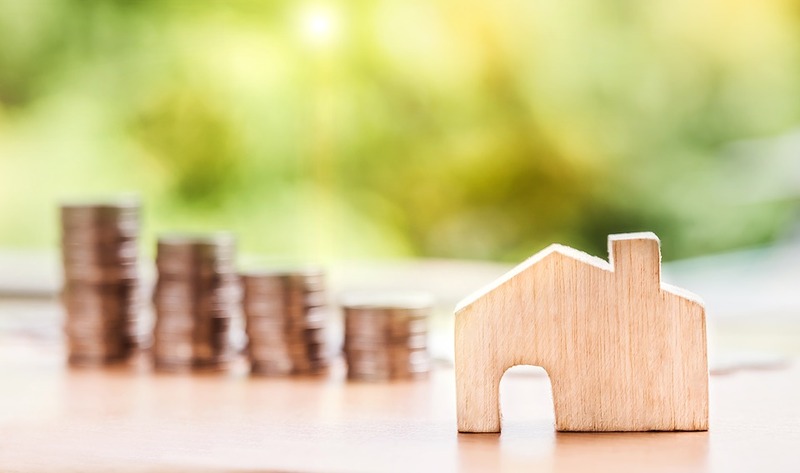 Industry voices such as the Royal Institution of Chartered Surveyors worry that uncertainty over Brexit and squeezes on household budgets are likely to dent demand in the year ahead, although many are predicting a rise in prices beyond 2019. Corporate property giant JLL said that it predicts a bright future for the UK housing market. The property consultant is projecting a return in confidence and a new phase of affordability if a Brexit deal is agreed. Although it says that housing starts will remain subdued in 2019-20 at 175,000 – 180,000, they will gain traction from 2021 onwards. Providing a deal with the EU is reached, JLL predicts house prices across the UK are forecasted to grow by 11.4 per cent in the next five years. While London is projected to see growth of 4.5 per cent over this period, it will dip by two per cent in 2019, while the north west is expected to see a 21.6 per cent rise over the period. London’s prime market will also see double digit growth at 12.4 per cent, according to Savills. The UK’s largest online real estate portal and property website is forecasting a flat 2019 for house prices, while they will continue to dip in London. Rightmove’s prediction for parts of the more buoyant northern half of the UK are set to rise by two to four per cent, though this will be offset by new sellers adjusting their prices downwards in parts of the south. 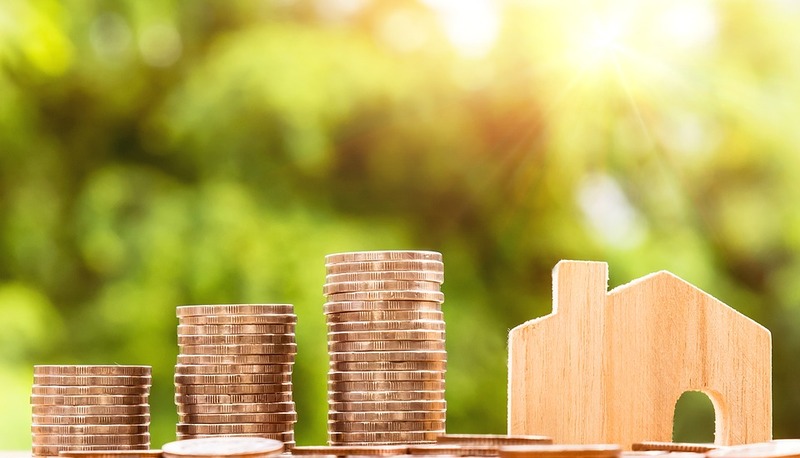 Miles Shipside, Rightmove director and housing market analyst, says: “While buyer affordability is stretched in some parts of the UK due to house price rises having outstripped wage rises, the underlying fundamentals supporting the housing market are currently sound. Positive employment data and affordable mortgage interest rates at high loan-to-value ratios are key to keeping property prices broadly in line with current levels. Cluttons, the London-based firm of chartered surveyors and property consultants, predicts that the London residential property market will fall a further 10 per cent before prices begin to recover in a year to 18 months’ time. Recent Cluttons data found that average house prices have fallen 6.8 per cent and 4.6 per cent in prime central London and core central London respectively over the past 12 months, with no areas registering any increases. Head of residential James Hyman said that the London market “still faces significant challenges in terms of affordability, buy-to-let investors and outdated infrastructure”. In CBRE’s predictions for the coming years, London house prices are set to be flat in 2019, but picking up by 1.6 per cent in 2020 and by 3.5 per cent in 2021. Between 2019 and 2023, the real estate adviser is expecting growth of roughly 10.5 per cent in the capital’s house prices.